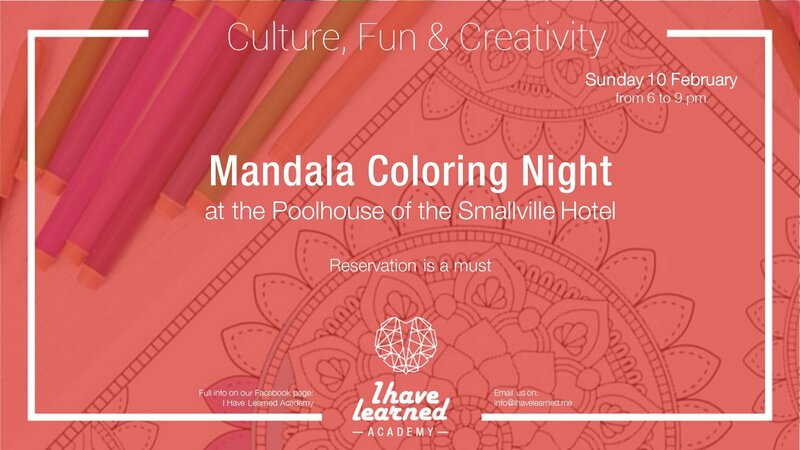 Join this fun night at The Smallville Hotel where we will get to know the origins of the Mandala and why they are so relaxing and powerful in an introductory session. Then choose your Mandala and enjoy coloring in a fun atmosphere near the indoor pool with a great vue at the Glass Poolhouse of the Smallville Hotel! This event is organized by I Have Learned Academy. Coloring is provided and you can get your favorite coloring material too.